1. 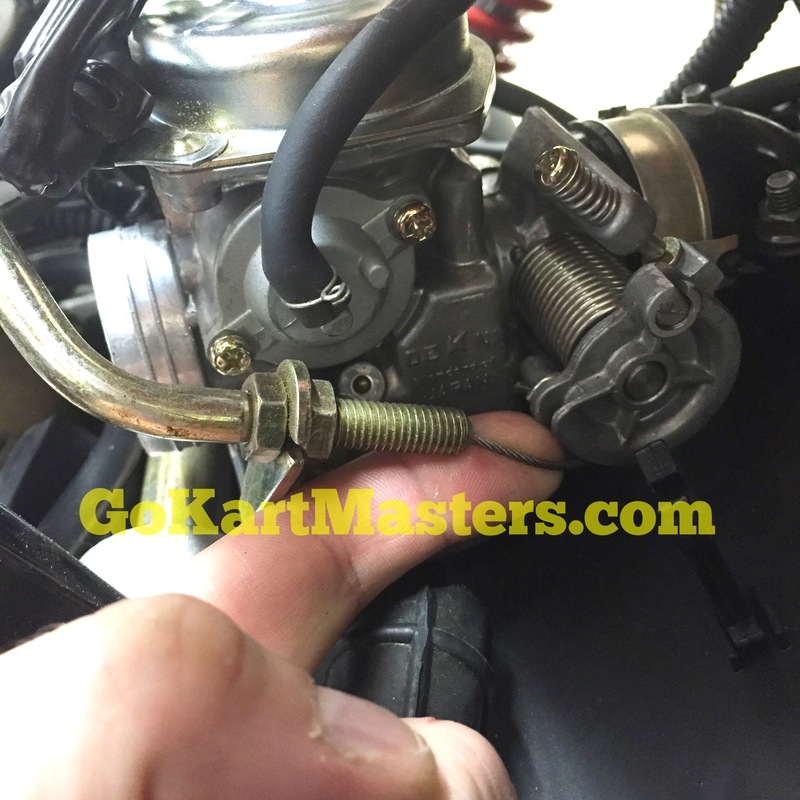 Locate the gold Phillips head screw with the gold spring around it on the passenger side of the carburetor. 2. 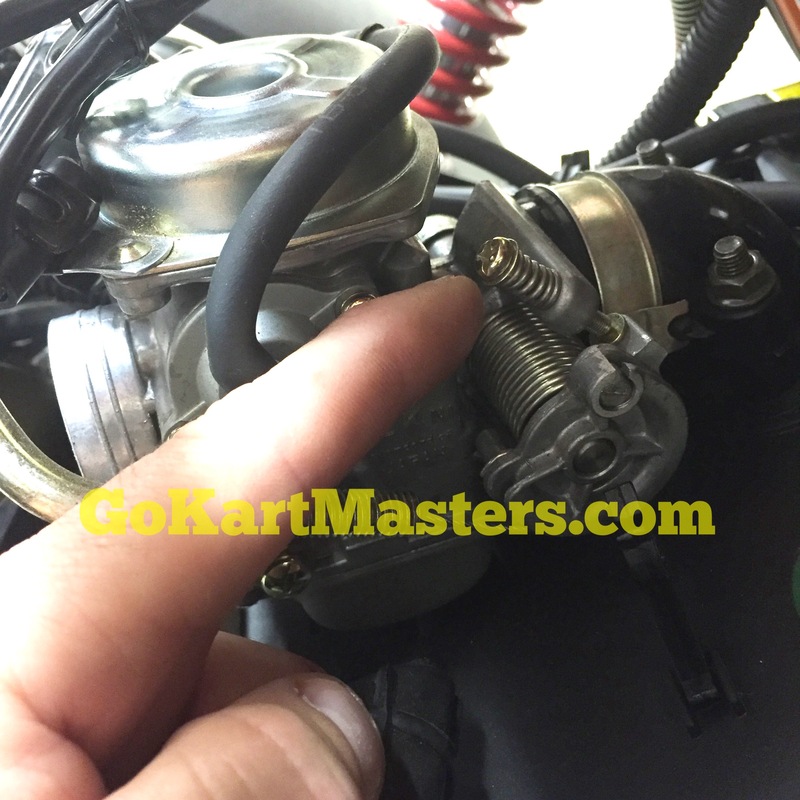 Turning this screw clockwise will raise the idle speed. 3. 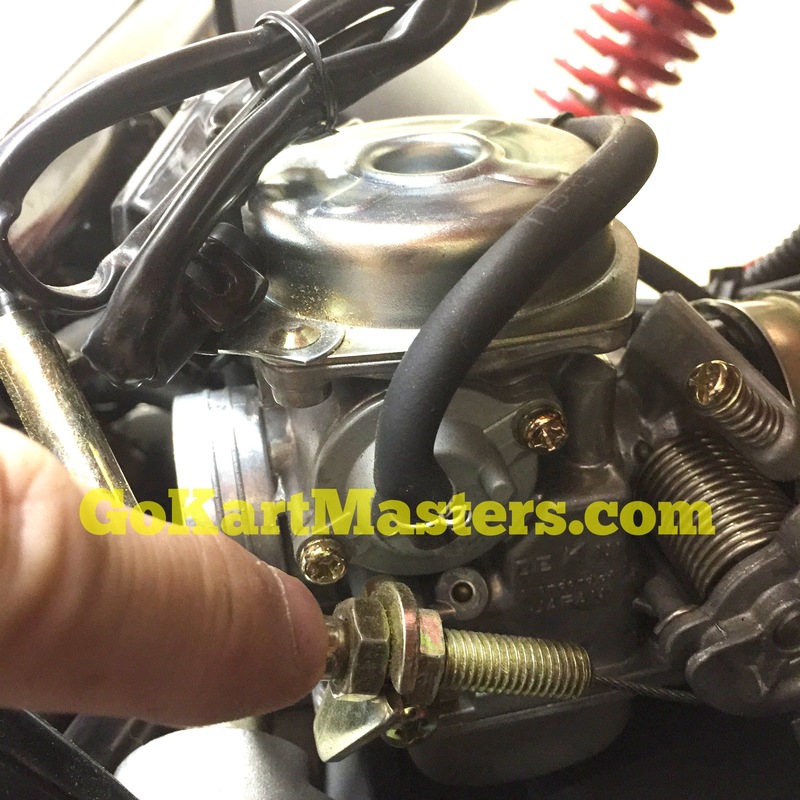 Check the throttle cable mounting nuts and make sure they are tight. 4. There should be a small amount of slack in the cable so the idle screw can be adjusted. 5. Too much slack and the cable could come off of the cam. 6. Not enough slack and the idle may not adjust low enough. 7. The goal is to get the idle speed as low as possible and so that the engine doesn't die. 8. Make sure the engine has warmed up at least 5 minutes before adjusting. 9. If the idle speed is too high, the transmission will be difficult to shift into gear and result in gear grinding and hard shifting or not going into gear at all.